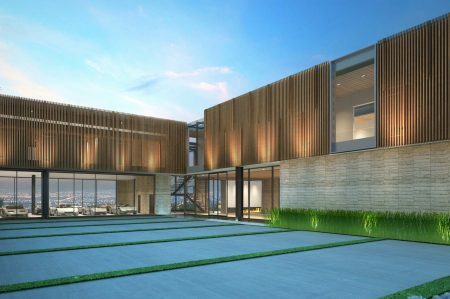 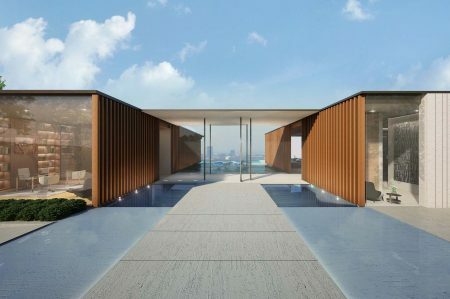 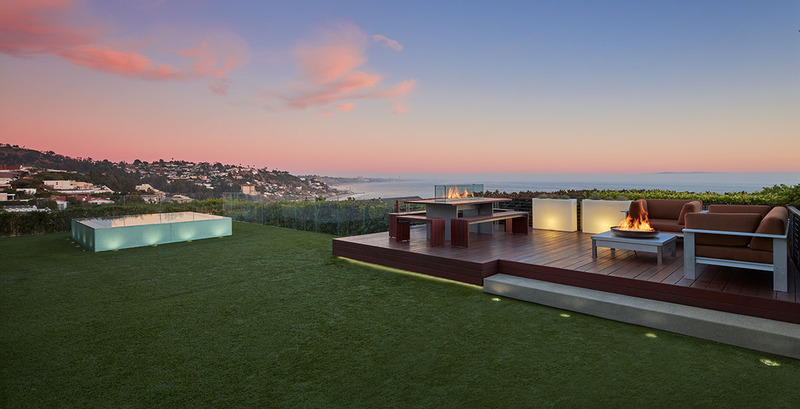 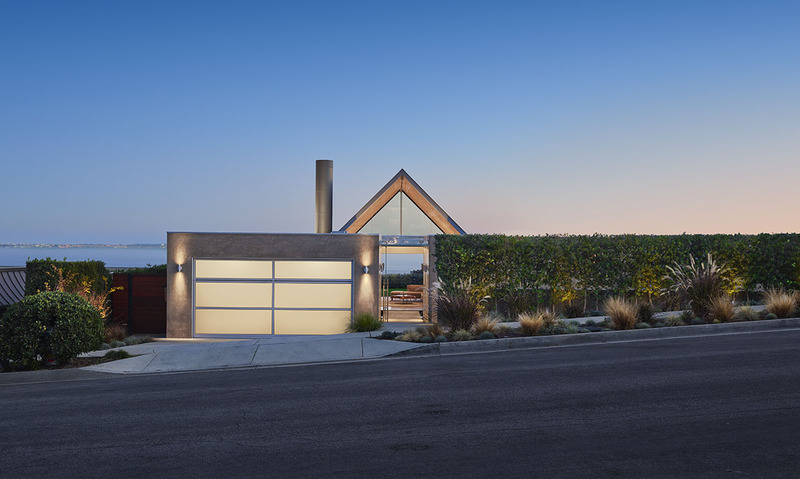 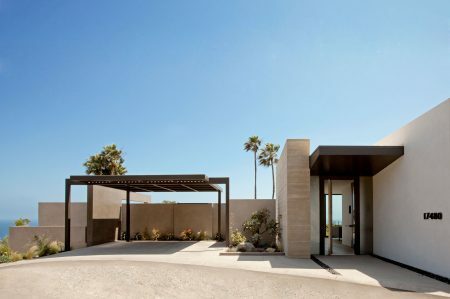 The building’s 2,500 square feet makes efficient use of all aspects of the property by reclaiming areas of usable space for views and providing a modern coastal retreat. 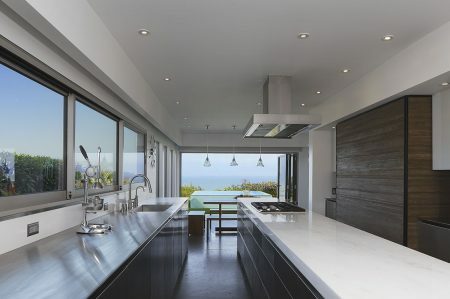 Conceptually based on the distillation of a family of the most basic architectonic shapes (triangle, square, and circle), the complete renovation and addition to this 1962 home sought to refine a fundamental relationship between these simple forms set against the expansive backdrop of the ocean and distant horizon. 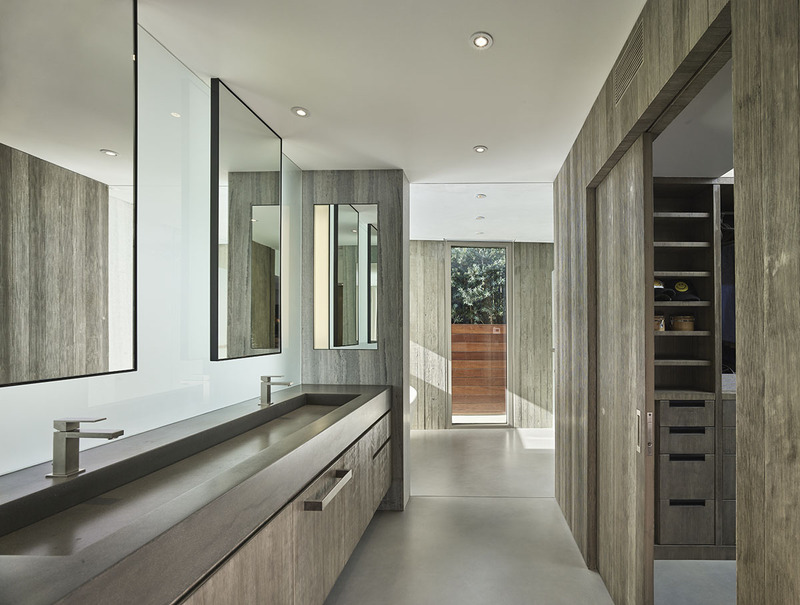 From the entry, an axial motif flows between the two principal volumes of the home into a tall vaulted central living space. 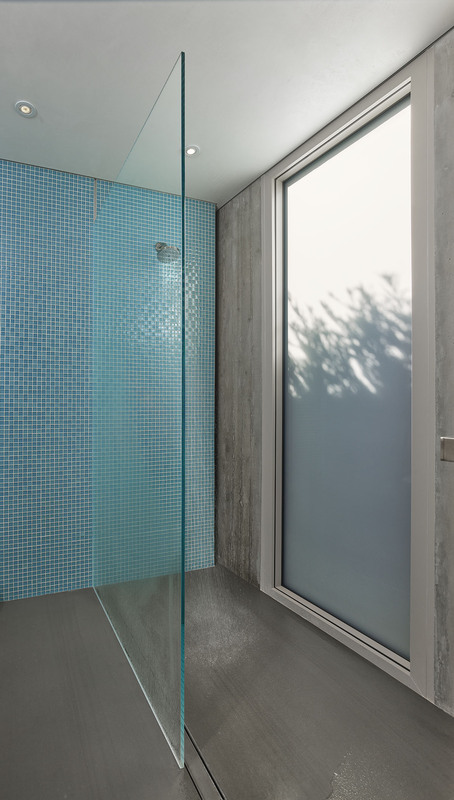 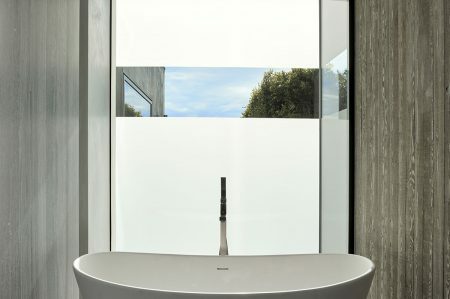 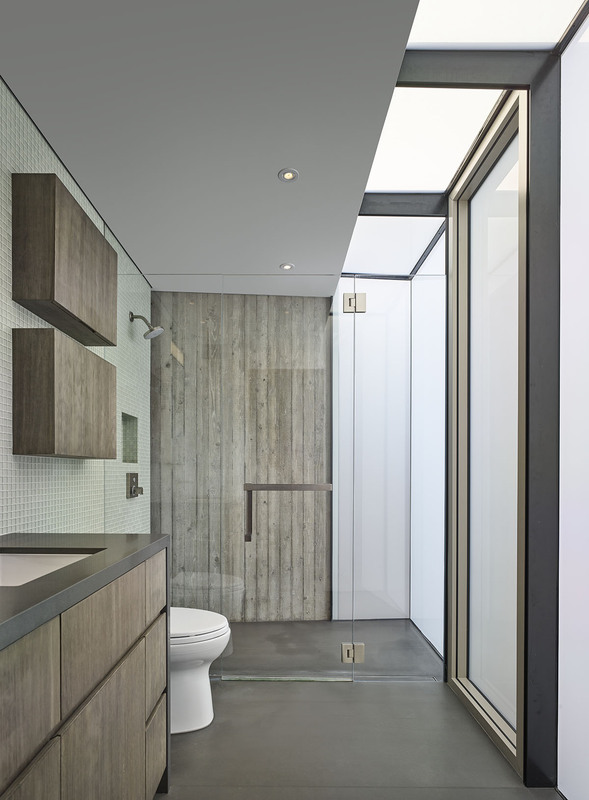 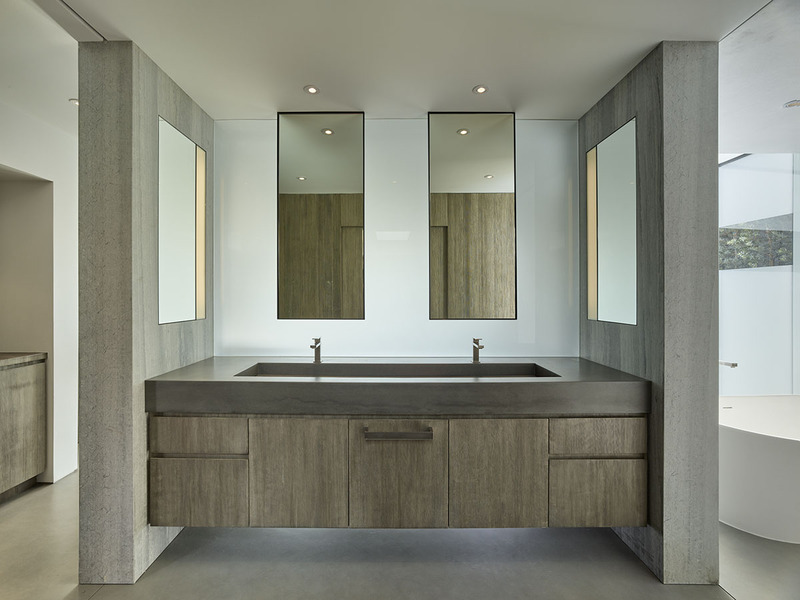 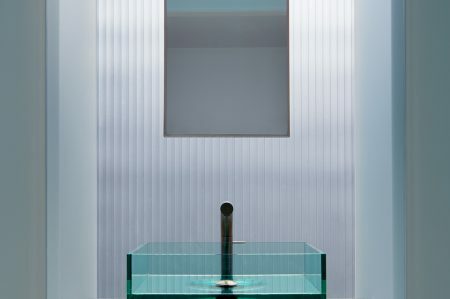 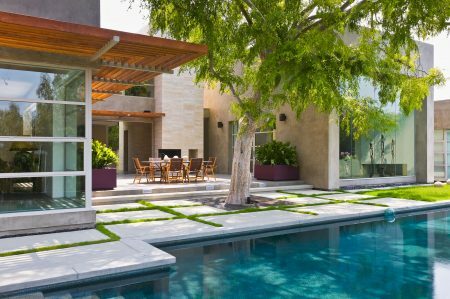 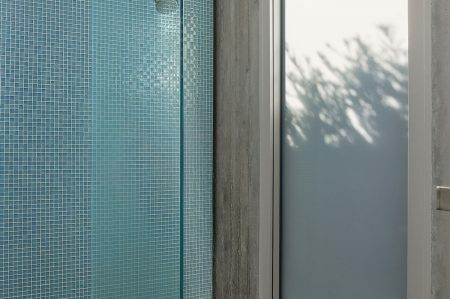 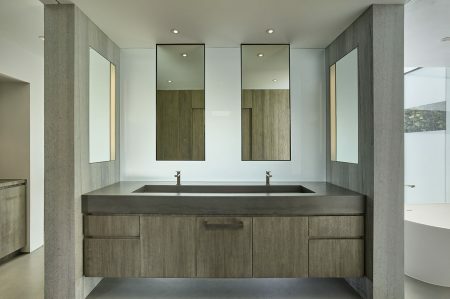 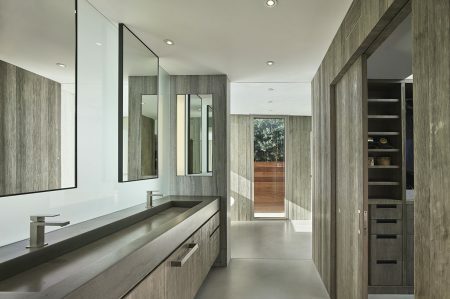 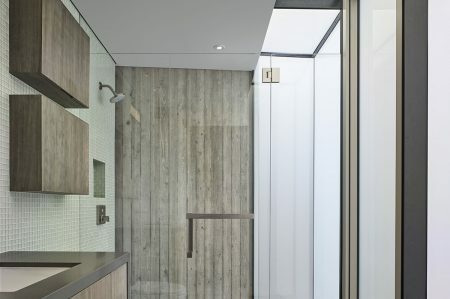 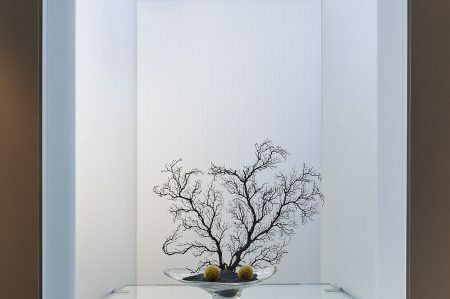 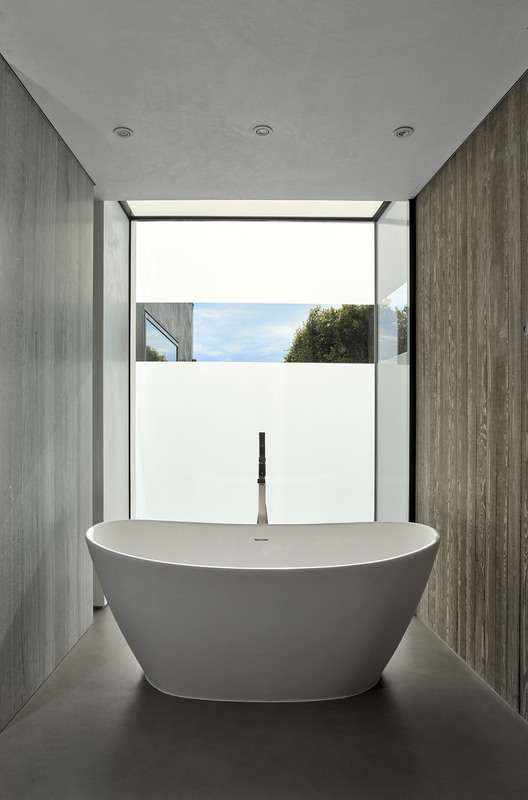 The serene and reflective quality of water reappears as a subtle dialogue with the architecture throughout the design. 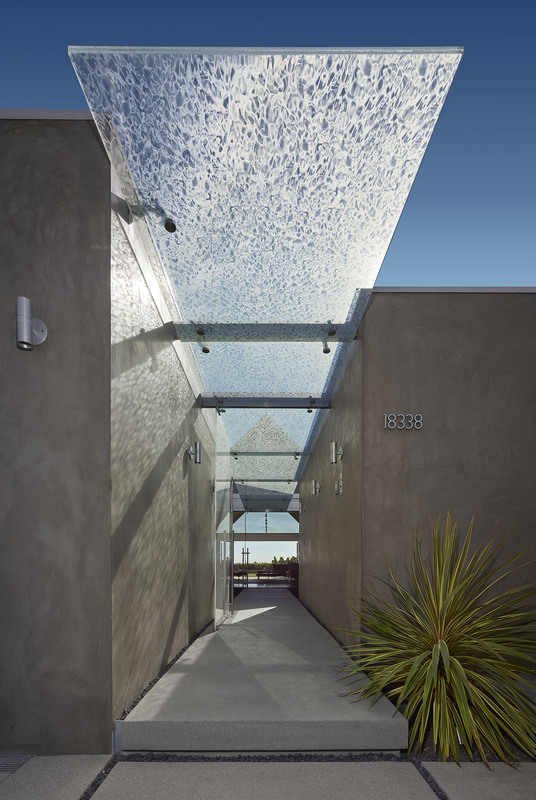 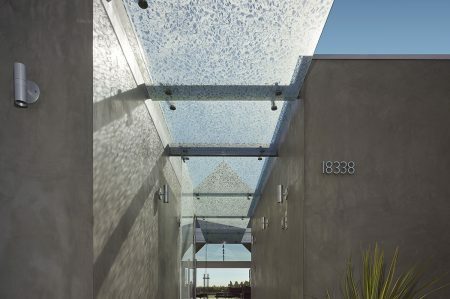 A glass entry canopy dapples shimmering shadows of an abstracted liquid pattern onto a series of cast concrete stepping stones traversing a small reflecting pool. 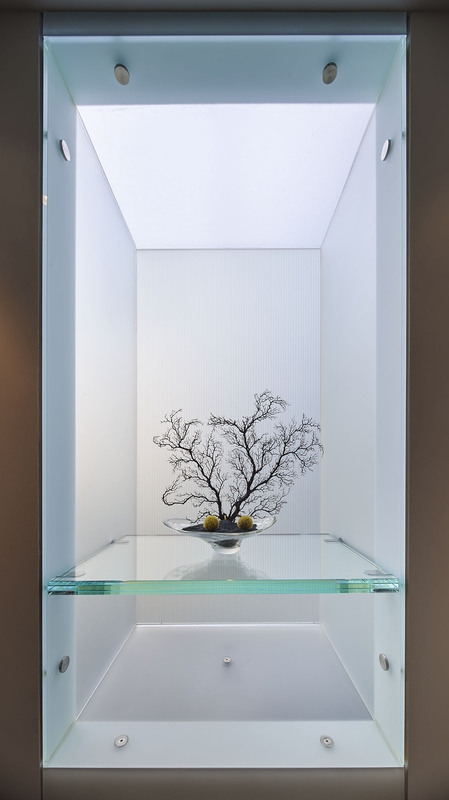 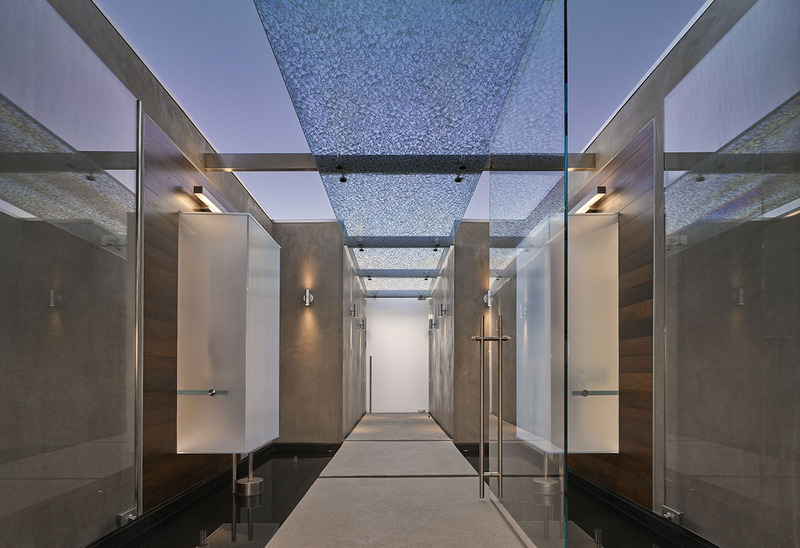 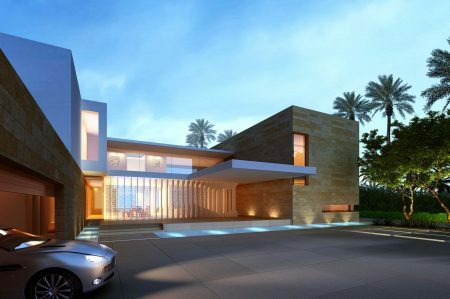 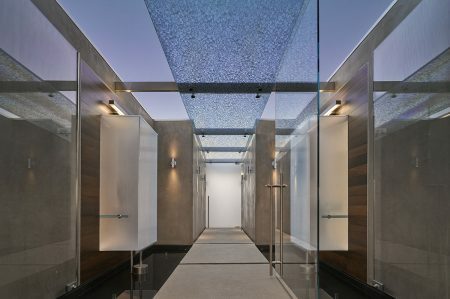 The symmetrical glowing glass cubes suspended over water at entry, dramatize the experience by adding a mysterious glow to the walls of the entry court heightening the sense of arrival at the front door. 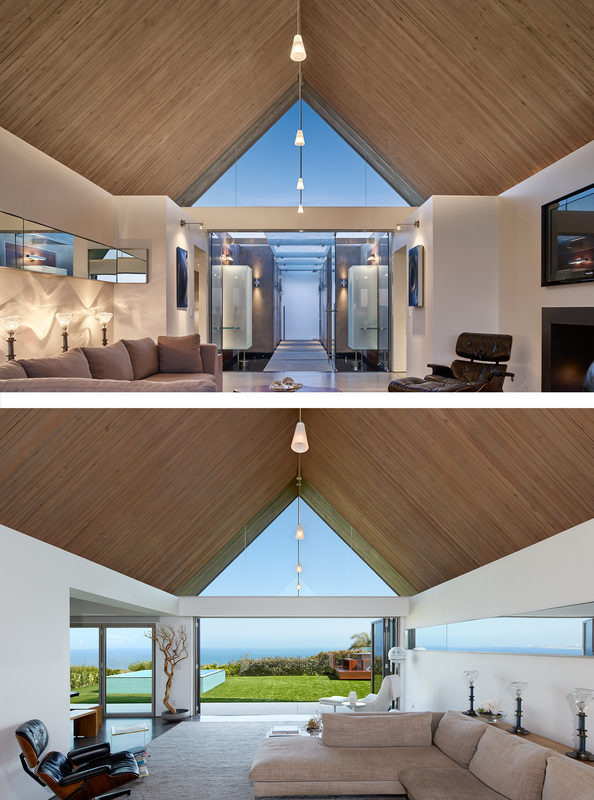 The main living space beyond with its characteristic triangular pitched roof and tall open glazed ends mediates between the flanking side volumes offering a warmly lit and inviting core for the home. 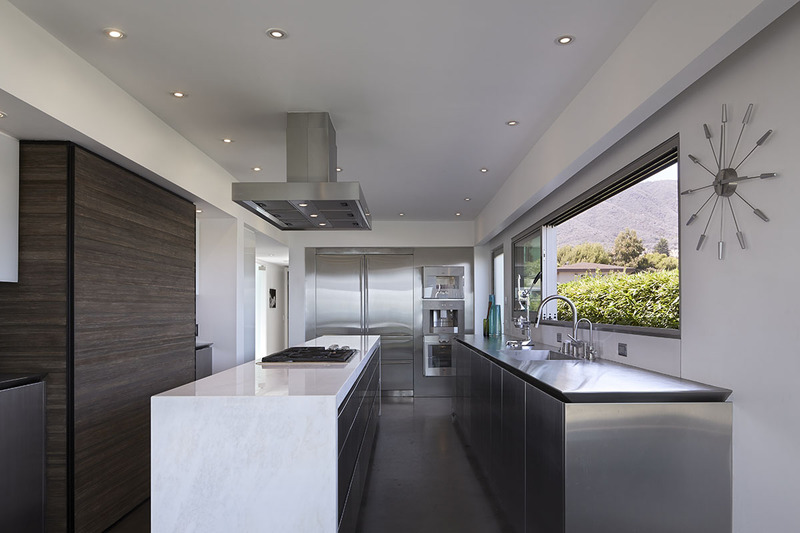 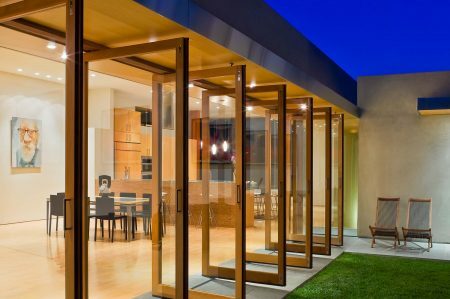 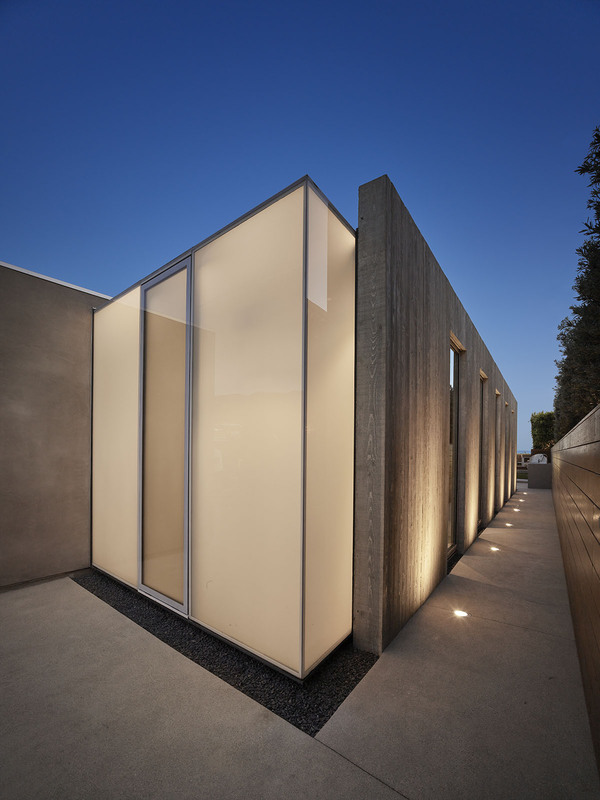 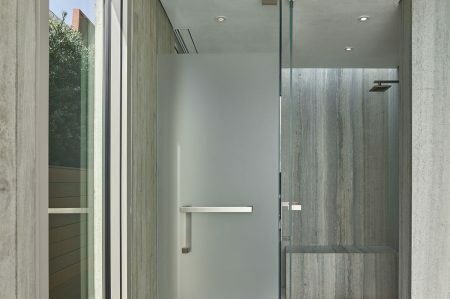 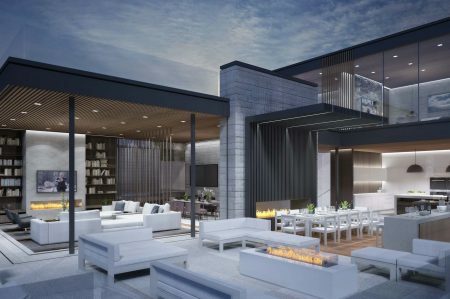 The visual connectivity of the bracketing exterior spaces (entry court and rear yard) through the main living space perceptually connects interior and exterior expanding the feel of the space through the entire depth of the home. 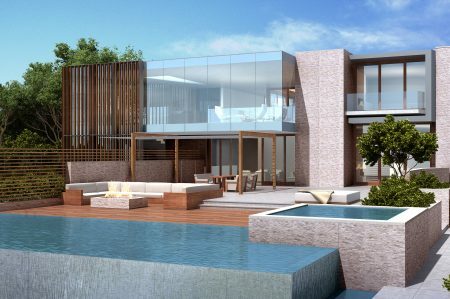 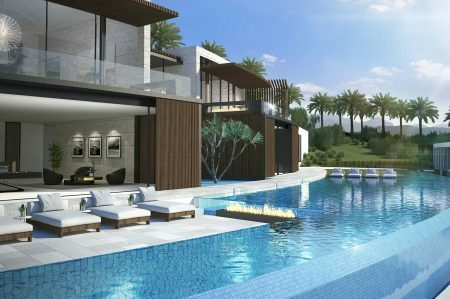 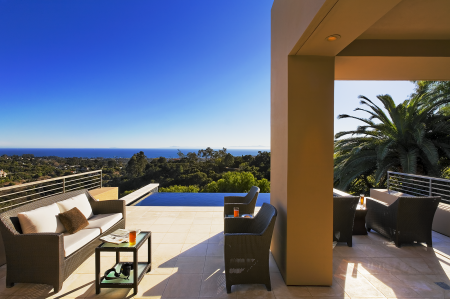 The central living space is perfectly situated to take in the changing expressions of the distant sky and sea. 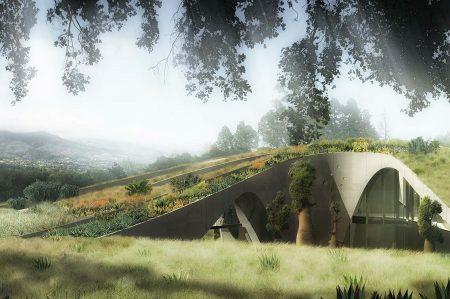 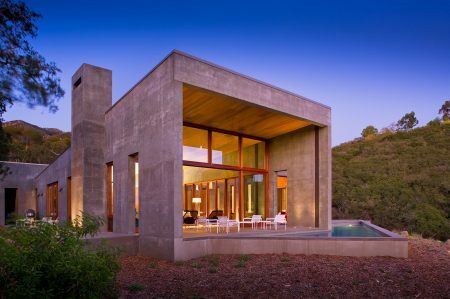 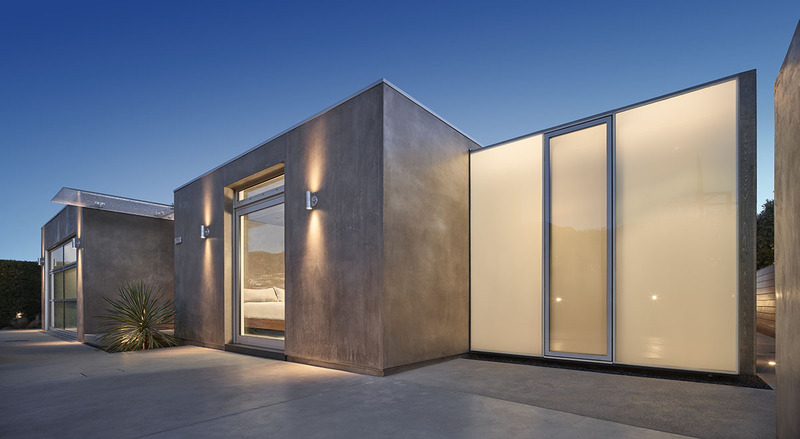 The careful consideration of a concrete addition expands the floor area of three bedroom suites to the west while not disrupting the purity of the primary building volumes. 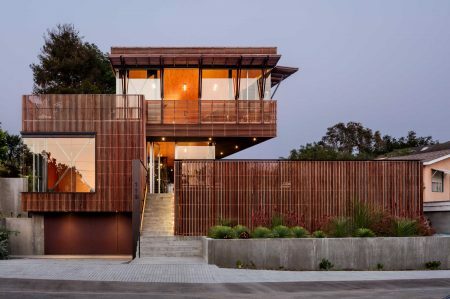 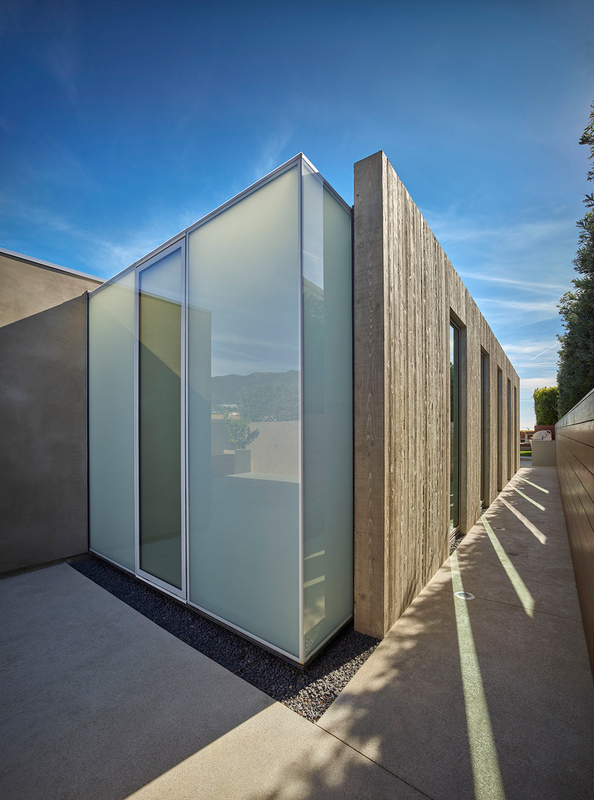 Wood board forming in a vertical orientation was utilized to texture the exterior surface coming alive ephemerally when the imbibed pattern receives raking afternoon and evening light. 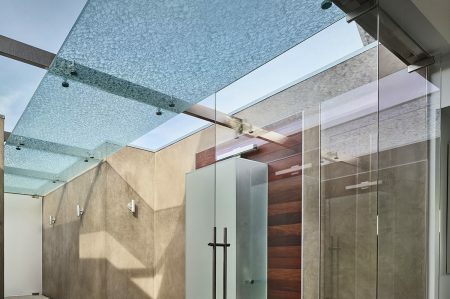 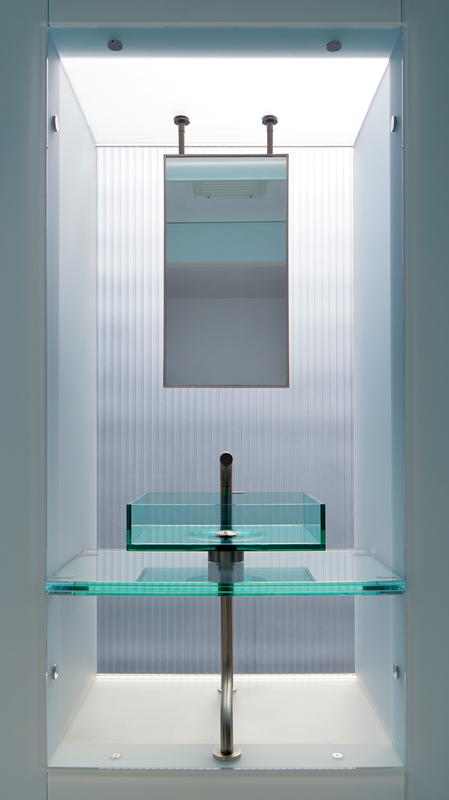 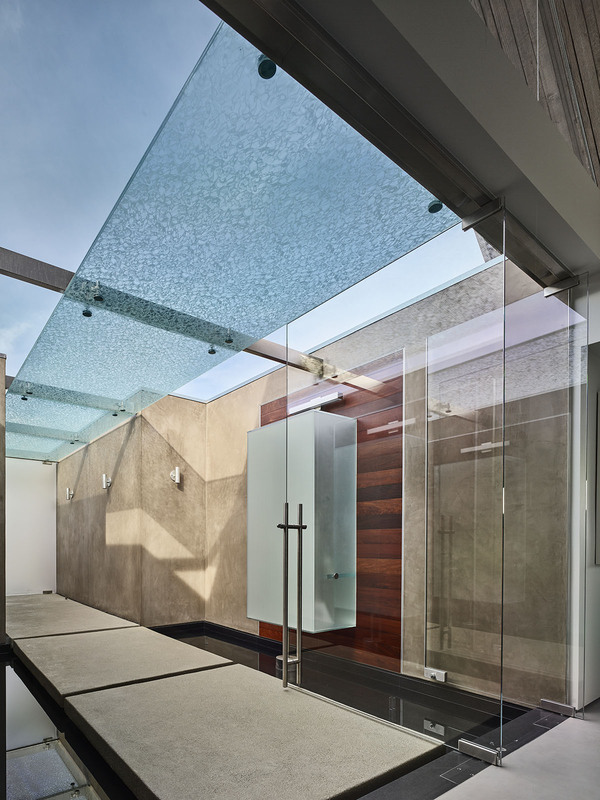 Translucent glass boxes, detailed to float delicately above the ground, cap either end of the extension reminiscent of the language of lit cubes at the entry court. 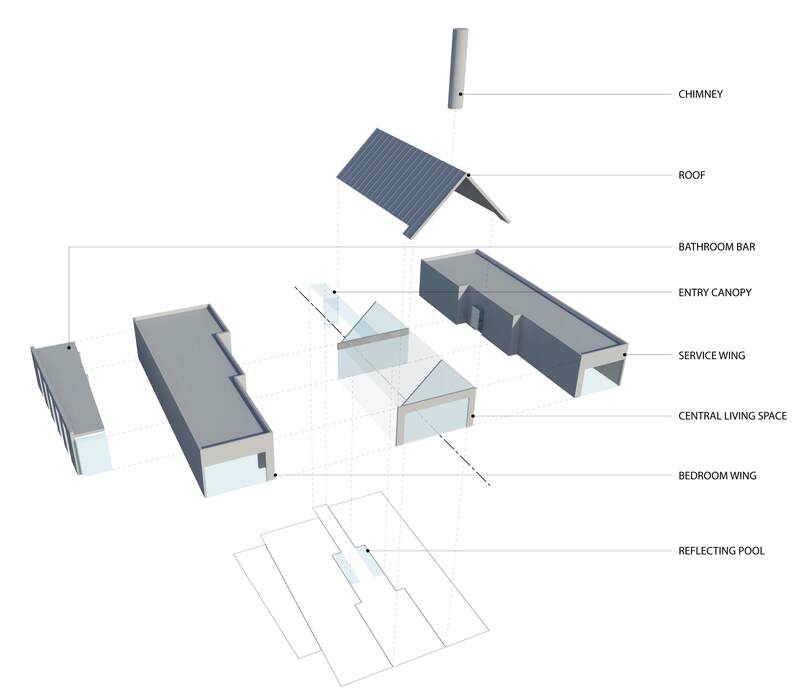 A simple cylindrical metal extrusion clads the chimney; standing as a resolute vertical marker against the sky.